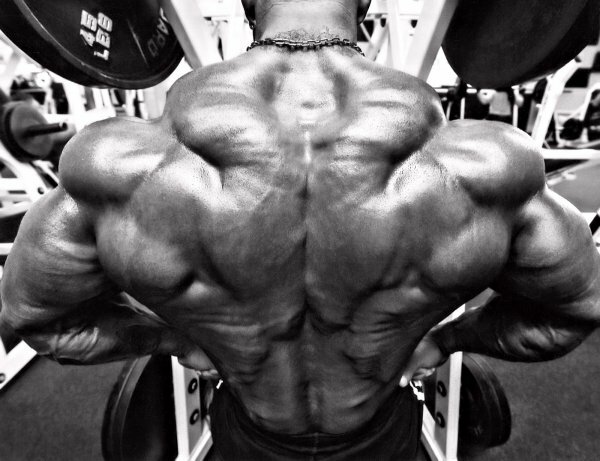 Bodybuilders are different … Black, white, red. And everyone wants the same, after many years of painstaking work, gone to create your body, to be and compete where the best of the world stand and fight for recognition and championing on the stage, shoulder to shoulder. Despite the common misconception that the harsh reality of most countries presents a number of huge difficulties on the way to the goal – they say, the conditions are “not the same”, the salaries are “so-so”, and they are not “fed very well”, so the motivation for “that “, but where without it, and even in a big bodybuilding – a lot of athletes of completely different nationalities already today successfully represent their corners of the world in high-level competitions. Whom you will not see among professionals – Jamaica, Puerto Rico, Trinidad, New Zealand, the list can be continued indefinitely. The story of Michael, descended from the pages of a book of ancient Greek myths, is unique in its own way. Kefalianos, born of his assurances in a place of amazing, divine beauty – the city of Lagoudi, which is on the island of Kos, is one of the few Greeks ever to perform under the aegis of the giant IFBB. Of course, such an honor is not sold, but is earned by years of training and performances. Think only of what works, what detachment was worth this thorny path to a guy born in a large family of 12 brothers and sisters. As you know, there are no lazy people in a big family. Mike from the very childhood, along with adults, worked on stone works, helped build houses and to his majority had a lot of skills in construction. Things went on as usual, until the routine was diluted by the military duty, which all the young men were burdened with in Greece. After the army, at the age of about 20 years, Kefalianos first collides with iron. Weightlifting becomes a kind of hobby, an outlet after hard working days. The desire to become stronger gradually takes more and more of the young guy’s time, although Michael clearly shares the priorities between passion and work. Life, meanwhile, goes on as usual. In 1991, Michael meets his future wife Helena, who comes to visit the motherland of her parents from a distant Australian Adelaide. Just one year after the meeting, Kefalianos makes an offer of the hand and heart of his beloved. Soon, the newlyweds decide to move to Australia, where they safely live and for several years Helena gives Michael two wonderful children – George and Mikaela. The desire for a small homeland does not leave Kefalianos’ soul alone, he literally persuades his wife to return to Greece and, although moving with children is very difficult, they still manage to re-establish themselves on their native land. A huge love for children, passed to Michael from his parents, is the motivation for the birth of two more children – Crizovalanti and Nekteraryos. In the Kefalian family, nothing is valued in the same way as the family name and the continuation of the family. In 1998, an amateur sport interest moves to a new stage – Kefalianos begins to participate in local Greek bodybuilding competitions. Multiple victories at the Mr. Aegean and Mr. Greece competitions allow him to compete in the 2006 World Championships under the WABBA Federation (founded by the famous Serge Nyubre), which he successfully wins. The organizers notice the excellent data of Michael and willingly invite him to experience his opportunities traveling and attending throughout Europe. 2007 is marked by two major victories: Michael repeats his success at the “WABBA World Championships” and easily wins the so-called “French Night of Champions”, after which he decides to take a time-out for a year, realizing that for a long time outgrew the amateur scene. Overcome the line of language is decided on “Arnold Amateur 2009″, which Michael successfully storms and becomes 3rd in its category, which allows him to get the coveted status of a pros from the Australian division of the IFBB, whose interests he represented. In the same 2009, Kefalianos qualifies for the main contest of the universe of bodybuilding Mr. Olympia. Friends and family are advised to postpone the performance and postpone it to a better shape, but Michael is unable to give up such a gift of fate, because the chance to show himself on a stage of this scale is priceless. Guided by the logic of “the main thing is not victory, but participation,” Kefalianos tries his best, unfortunately, without getting into the top 15 and remains without a seat. Of course, this can not stop the growing number of ambitions, because the way in the professionals has just begun and there is simply no time to get upset. Confidence that all the best is yet to come, gives the strength to continue the performances. As of 2012, Kefalianos is the leading professional representing Greece, he successfully competes in numerous competitions under the auspices of the professional IFBB league, with more than covering all his failures at Olympia – Michael almost always gets into the honorable six athletes at all competitions of the Grand Prix. Moreover, more recently, Kefalianos celebrated his first victory among professionals by winning the Spanish tournament “Mister Europe Pro 2012”, bypassing the tough competition of veteran Johnnie Jackson, which allowed him to consolidate his status as a dangerous rival and to grow on new connections that promise interesting offers and contracts. Today the sponsor of Michael is the popular sports nutrition company “MHP” famous for its long-term cooperation with another professional of a difficult fate – the winner of “Arnold Classic 2007”, the Dominican Victor Martinez. Despite the long journey through the thorns to the stars and age, Michael serves as another example of the fact that “no” is just a word that can not prevent a person who wants to overcome the bounds of the possible. The editorial board of RxBodybuilders.com has no doubts that someday the name Kefalianos will be entered into the hall of glory of the world bodybuilding. This entry was posted in Top Bodybuilders and tagged IFBB Pro, Mr. Greece. Bookmark the permalink.